Since December of 2017, visionaries from across Los Angeles County and beyond have gathered together at the seven and a half-acre Maryknoll compound in Monrovia, CA to reimagine this space and other compounds of women religious as models of Earth-centered community. To date, two PANDOTOPIA Blitz events have been held (listed below), and the PANDOTOPIA Network launched. The galvanizing idea is to create living incarnations of the principles of Pope Francis’s encyclical to the world, Laudato Si’. Released in the summer of 2015, the encyclical calls for communities of “integral ecology” where people live in harmony with the Earth and each other. It is a vision that is nearly identical to the one that Pando founding chair John Cobb calls “ecological civilization.” To get there, Pando creative director John Bielenberg says we have to start thinking wrong. PANDOTOPIA Blitzes are think wrong events. 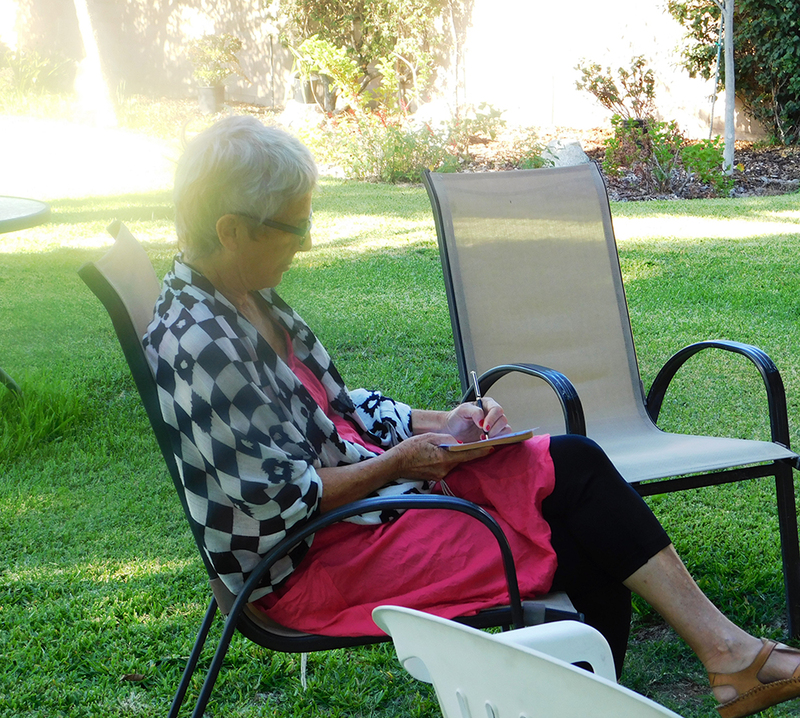 On July 17 and 18, 2018, seven congregations of women religious from across the country met at the Maryknoll Sisters’s compound in Monrovia to rethink the connection between mission, resources, and properties in light of a vision of integral ecology. Legendary designer John Bielenberg, author of Think Wrong, the book, led the two-day event. Philosophical theologian John B. Cobb, Jr., member of the American Academy of Arts and Sciences and co-editor of the first volume of responses to appear on Laudato Si’, keynoted. PANDOTOPIA Blitz attendees, July 17-18. 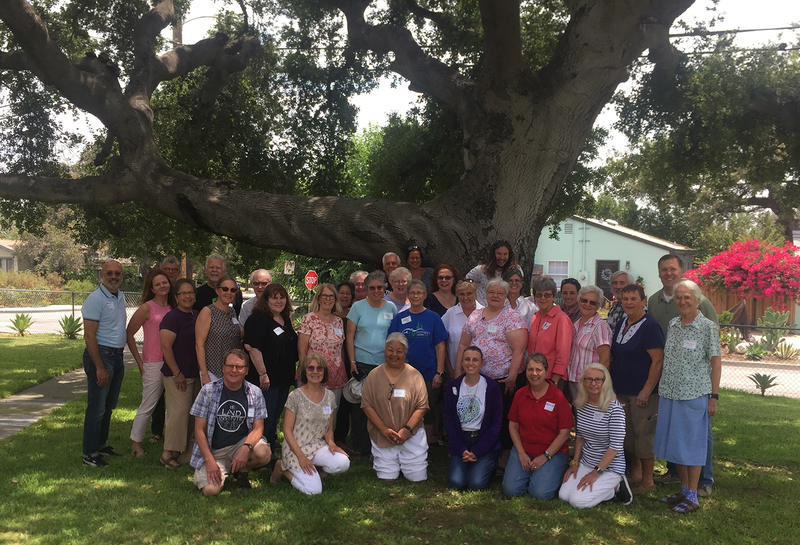 The event attracted leadership from seven congregations of women religious from across the country and was hosted by the Maryknoll Sisters in Monrovia, CA. Blitz workshops focused on the potential impact of Pando thinking on communities of religious nationwide and especially on the local communities of those attending. The opportunity comes at a time when religious communities are re-imagining how their resources can be connected in service to the future of their mission, charism, and legacy. On December 1, 2017, visionaries from across Los Angeles County and beyond gathered together for a day-long blitz at the seven-acre Maryknoll compound in Monrovia to brainstorm how, collectively, we might Pando the place. The controlling idea was to reimagine the campus to better meet social justice and sustainability needs across the southland and model what a community of the future in balance with the Earth and its people might look like. The ideas conceived at that time have recently been green-lighted for experimental implementation in Monrovia. John Cobb’s preparatory notes for PANDOTOPIA Blitz keynote. The galvanizing idea is to create on the Monrovia compound a living incarnation of the principles of Pope Francis’s encyclical to the world, Laudato Si’. Released in the summer of 2015, the encyclical calls for communities of “integral ecology” where people live in harmony with the Earth and each other. It is a vision that is nearly identical to the one that Pando chair John Cobb calls “ecological civilization.” To get there, Pando creative director John Bielenberg says we have to start thinking wrong. To our knowledge, Maryknoll Monrovia is the first location to explicitly set out to incarnate this vision. In this effort, we aim to draw upon the talent pool of Los Angeles County CSOs, other social justice and environmental change-makers, and the rich experiences and skillsets of Sisters themselves to create what we think of as a “residential research park for integral ecology.” We envision the compound becoming a place for modeling, experimentation, and learning focused on the Pope’s encyclical. The physical construct could include an actual multi-generational living community, and in addition include live exhibits addressing agricultural, energy, water and waste generation and treatment along with cutting-edge LEED buildings housing staff, lodging and training elements. The financial model could include trainings (and possibly subject-matter certifications), residencies, and grants from corporations, foundations and government entities interested in seeding this vision of self-sufficiently leading to positive environmental and social impacts. Faculty and in-residence fellowships could be established to maintain a vibrant living and learning environment. We aim to utilize this eco-system facility as a living repository (physical and digital), housing the learnings and output of the works emanating from the Pope’s encyclical, the L.A. County sustainability plan, city-specific efforts, and corporate and non-profit programs. We believe a hopeful vision of the future is possible, and that the Maryknoll compound in Monrovia can model it for Los Angeles County. Congregations of women religious offer an extraordinarily rich and counter-cultural heritage serving the common good. At this time, in a world filled with noise, pollution, and in-justice at every level, women religious are being called, louder than ever, to be a prophetic voice in reimaging how the world can take a different path than the one it is on now. They can do this because of their understanding of the inter-connectedness of all elements in the universe and the richness of their charisms. The founders of and collaborators with Pando Populus also share a vision for an alternative outcome for the future, one that is distinctly aligned in its concept with the vision for an integrated, unified, and inclusive “civilization” – a vision shared by many communities of women religious. Pando Populus was conceived and organized around the idea that there is an alternative to modern industrial life, and that in order to avoid catastrophic conditions we must seize an alternative way of thinking and living. That “alternative” is an ecological worldview. Such was the work of philosophers up until the 20th century. But today, many have given up the task of thinking holistically about the world, or proposing anything like new foundations for a civilization that take us in a different direction; and few attempt to integrate thought with action. PANDOTOPIA Blitz is an ongoing series of brainstorming events for representatives from a variety of congregations of women religious and Pando Populus to begin “re-thinking” together, by Thinking Wrong, about a new paradigm – one with integral ecology at its heart – and what this might mean for mission, charism, and legacy at local levels. Laudato Si’: On Care For Our Common Home, encyclical letter by Pope Francis. Think Wrong: How to Conquer the Status Quo and Do Work That Matters, by John Bielenberg, et al. For Our Common Home: Process-Relational Responses to Laudato Si’: edited by John B. Cobb, Jr. and Ignacio Castuera. PANDOTOPIA Blitz is a presentation of Plante Moran and Pando Populus in collaboration with John Bielenberg, founding director of the Think Wrong Institute at the University of Kansas.